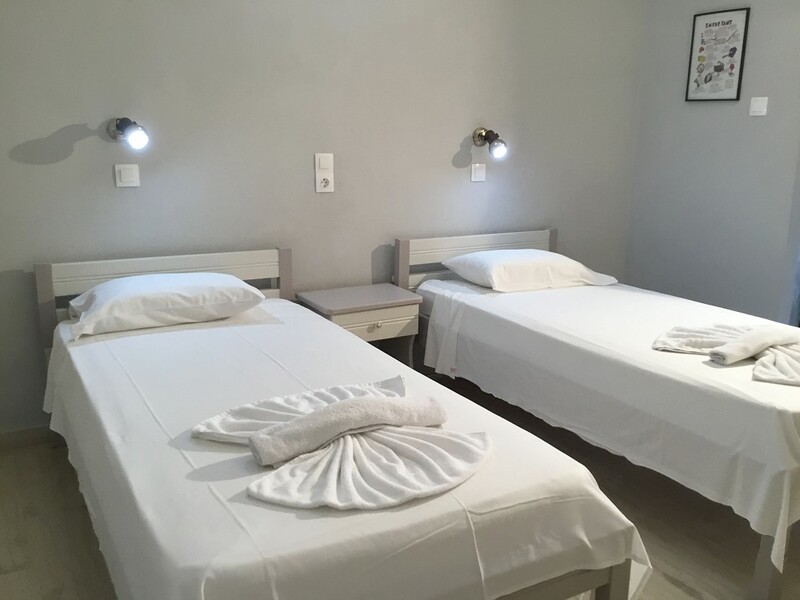 The complex consists of studios that can accommodate 2-3 people spread across the ground floor and the first floor and a two bedroom apartment suitable for 4-5 people on the second floor. 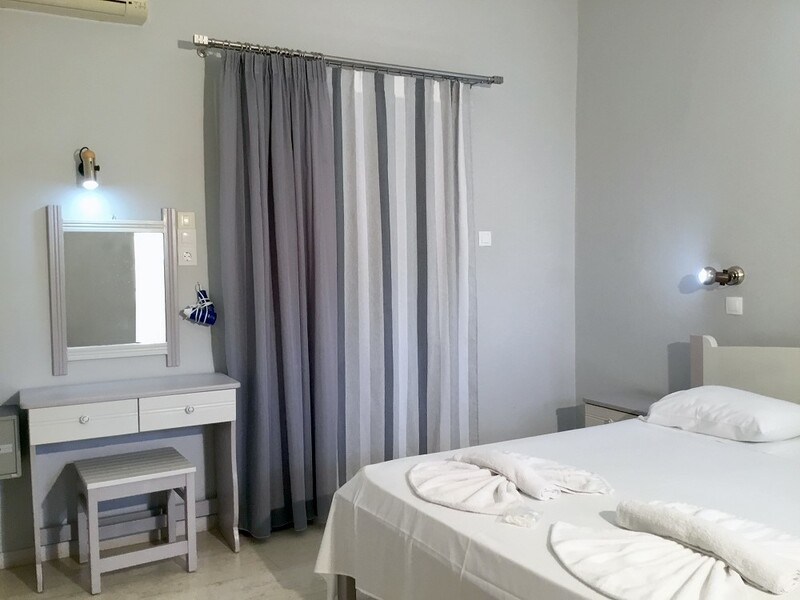 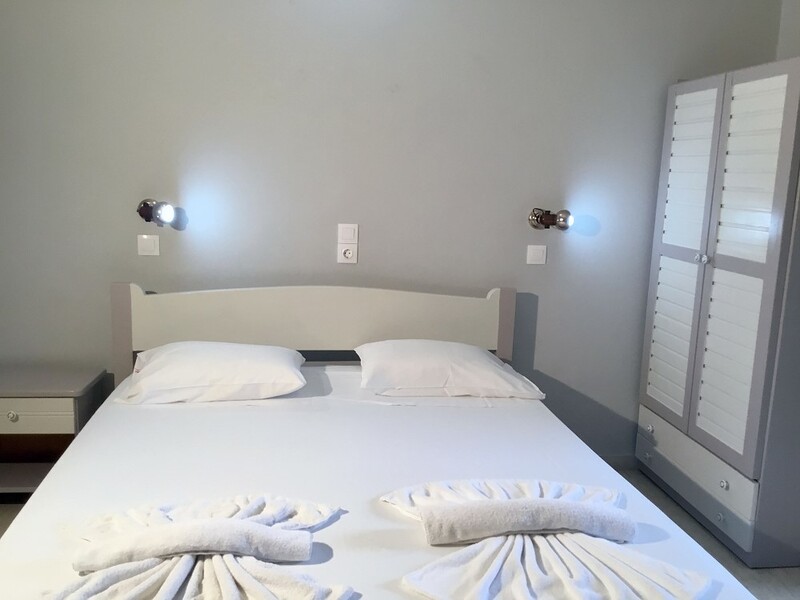 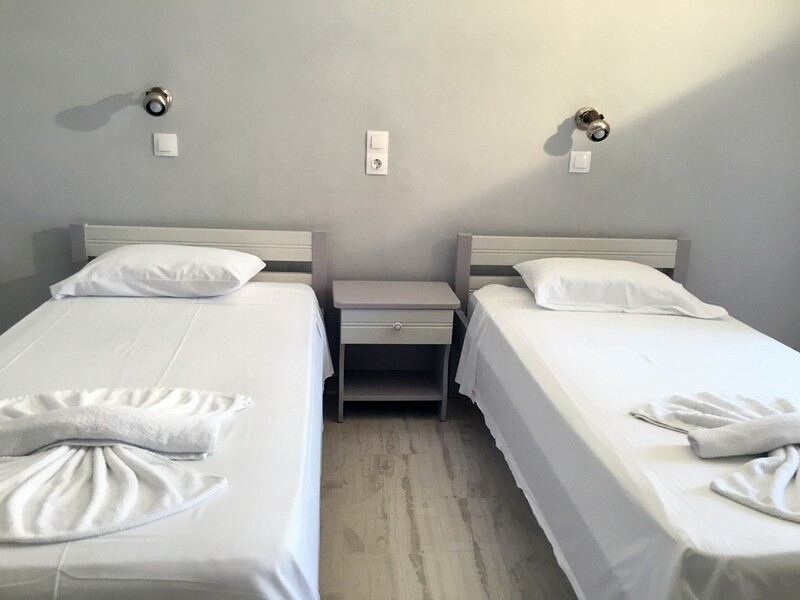 Each studio features single and double beds, a fully equipped kitchenette with two electric rings, kettle, refrigerator and all necessary utensils, bathroom with W.C. and shower, hair dryer and a furnished balcony with picturesque views of the surrounding countryside. 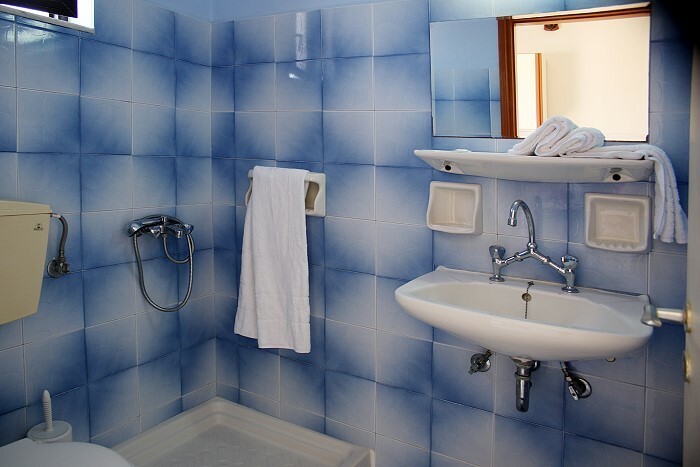 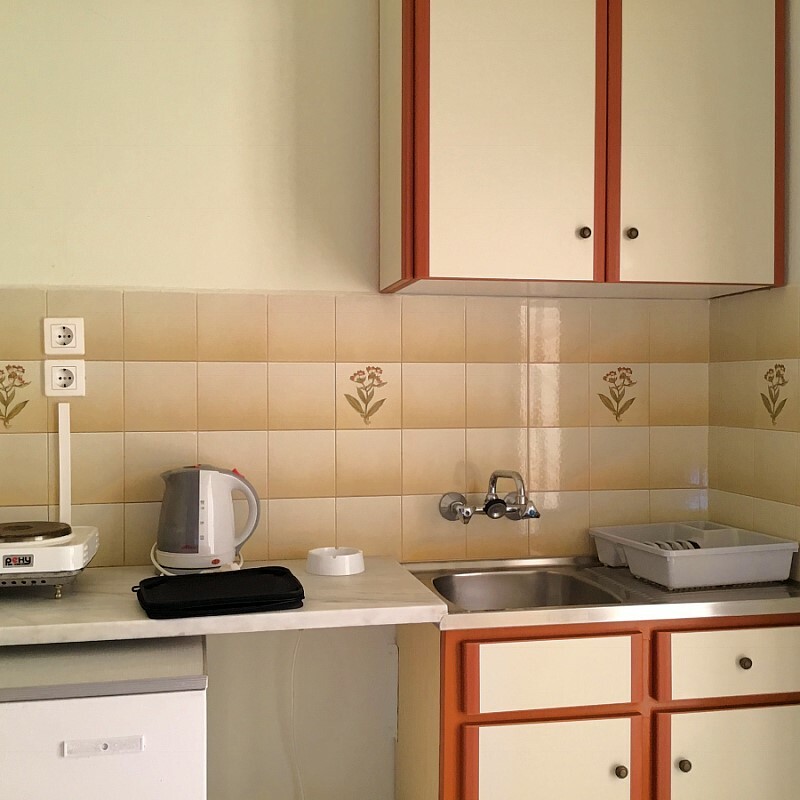 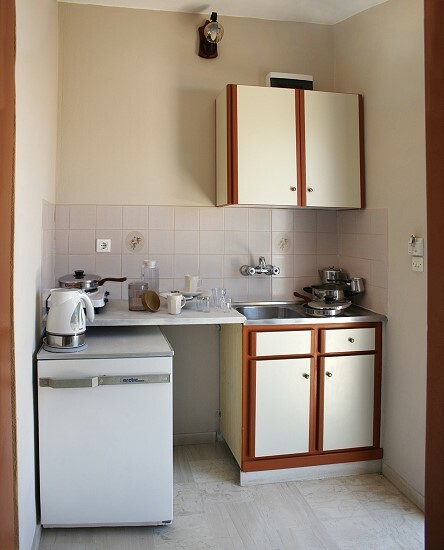 The apartment features 2 bedrooms (both with single beds) a fully equipped kitchenette with two electric rings, kettle, refrigerator and all necessary utensils, bathroom with W.C. and shower, hair dryer and a furnished balcony with beautiful views of the surrounding countryside.